Almost all IMPACT rosters have been completed. Students may search by their FIRST name on the bulletin board in the HS hallway to confirm their choices. We asked for parents to enroll the students, but we realize that some students did indeed enroll themselves. We are trusting that good communication has taken place. If you are a parent and are uncertain of your student's (s') choice, please email me as soon as possible. Thank you to the parents who have agreed to help with transportation. We still need several more. For the South Dakota and Wayfoy, Gatlinburg trips we would request a deposit be made sometime this month. We would like for ALL balances at $0 before Christmas break. If that does not work for you, then please contact me and we will make other arrangements. Just a reminder that if you make your payment through the Monday Folder, please write a SEPARATE check and mark "IMPACT" in the memo. Thank you. If your IMPACT is Europe, remember that all passport info, full name and emergency contact info MUST be confirmed on the website. Not doing this will delay our ticket purchase. This means we do not get the best flight itinerarys nor the best seating options. Please take care of this now. 17 of you still have not done so. ALL should be done by our meeting next Thursday, Nov. 8 at lunch. One last thing, if you are interested in doing some fundraising for your trip, we are selling Hancock's Now Famous BBQ this week and next. Emily Claiborne, a student in the HS, in spearheading this. 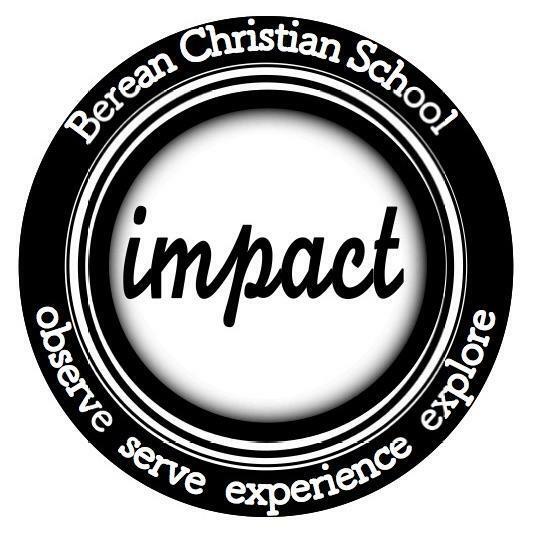 You may email emilyclaiborne@berean.me for more information, order forms, instructions, etc. As always, I'm ready to assist you in any way I can. We value education and lives changed outside the classroom as much as what takes place in the classroom. Thus, we have committed the week before spring break, March 11-15 to facilitate exploring, observing, experiencing and serving! 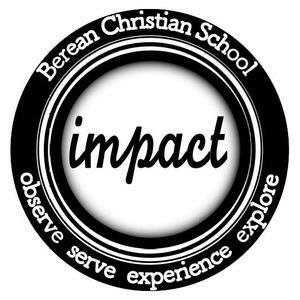 We have tried to make impactberean.com command central for everything you need to know as a family to begin discussing and praying about a good fit for your student. All students are required to participate. There are minimums and maximums for each class (10 participants for most options), so we encourage you to make a decision soon. Students should NOT repeat a course they took last year. You enroll your student by going to the "sign up and pay" tab. If you cannot "book it" it means the course is full. You may ask to be put on a waiting list in case there is an opening later, but you should go ahead and enroll in another course. Tuesday, November 6 is the deadline to enroll, but we anticipate that most will enroll this week. I am happy to respond via email, phone or text to any and all of your questions and concerns. This is only our 2nd year offering IMPACT, so your patience with my learning curve is much appreciated.